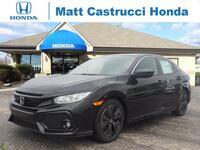 If you're looking for a sedan that offers quick acceleration and plenty of power under the hood, we highly recommend checking out the 2018 Honda Civic. The 2018 Civic comes in sedan, coupe, and hatchback body styles, allowing car shoppers to choose the style that fits their aesthetic, lifestyle, and needs. The 2018 Civic Sedan comes equipped with a variety of high-quality amenities, but how does it compare to quality competitors in its class? We're putting the popular sedan, comparing it head-to-head against the 2018 Toyota Corolla. Keep reading to learn all about the features and specifications that set these two vehicles apart from the rest of their competitive class, and more importantly, apart from each other! 2.0L: 158 hp; 138 lb.-ft. Engine Specifications 1.8L: 132 hp; 128 lb.-ft.
97.8 cu. ft. Passenger Volume 97.5 cu. ft. The 2018 Toyota Corolla comes in six trim levels: L, LE, LE Eco, XLE, SE, and XSE. All trims, except the LE Eco, come standard with a lackluster 1.8-liter inline 4-cylinder engine that delivers 132 horsepower and 128 pound-feet of torque. 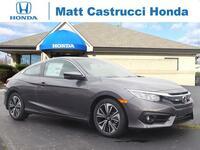 Not only is the engine smaller than the 2018 Honda Civic's, but it is also significantly less powerful as well. It doesn't end there, however. The 2018 Corolla is less fuel-efficient* than the 2018 Civic while offering less cargo volume and passenger volume. The 2018 Honda Civic comes in five trim levels: LX, EX, EX-T, EX-L, and Touring. The LX and EX trims both come standard with a 2.0-liter inline-4 engine that generates 158 horsepower and 138 pound-feet of torque, but drivers looking for more power under the hood are able to opt for one of the higher trim levels. The EX-T, EX-L, and Touring trims all come equipped with an impressive 1.5-liter turbocharged inline-4 engine that kicks out 174 horsepower and 167 pound-feet of torque, which practically blows the 2018 Corolla's engine performance out of the water. 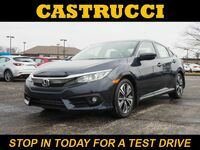 Car shoppers interested in learning more about the 2018 Honda Civic are encouraged to contact a member of our team here at Matt Castrucci Honda or stop right in and see us at our location in Dayton! Those ready to get behind the wheel of the 2018 Civic, or any other new model in our inventory, are invited to schedule an obligation-free test drive online today! 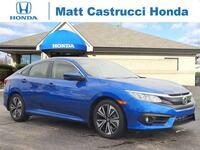 What colors does the 2018 Honda Civic come in? 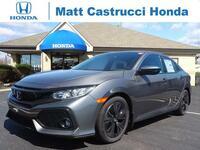 The 2018 Honda Civic is known for its appealing exterior and high-quality amenities throughout, but one of our favorite underrated features of the 2018 Civic is the wide range of exterior color options offered by the sedan. If you’re wondering what colors the 2018 Civic comes in, you’ve come to the right place. 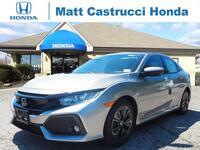 Keep reading and we’ll show you all of the sedan’s exterior body paint colors!